I fell in love with Baby Bok Choi from my first taste. I’ve modeled this recipe after a local asian restaurant’s version that made my first impression of this veggie – a real keeper and a great low carb side dish. I make this side about once a week when I can find Baby Bok Choi at its freshest. My local Big Y or the Fresh Market are my go-to sources for the most consistent quality. Konnichiwa! Cut off bottom stem of each baby bok choi head and rinse. Saute garlic in olive and sesame oil until golden. Then add butter. Add baby bok choi and saute on medium for 8 minutes till tender. Add chicken stock and reduce by half for about 3 minutes. There are a lot of great cauliflower mash or puree recipes out there but my version is worth serious consideration. I borrowed some of this technique from my old mashed potato days. I have to say – I don’t miss them at all. This new standby goes well with so many great mains and is the perfect sub for that high-carb mashed bomb of old. 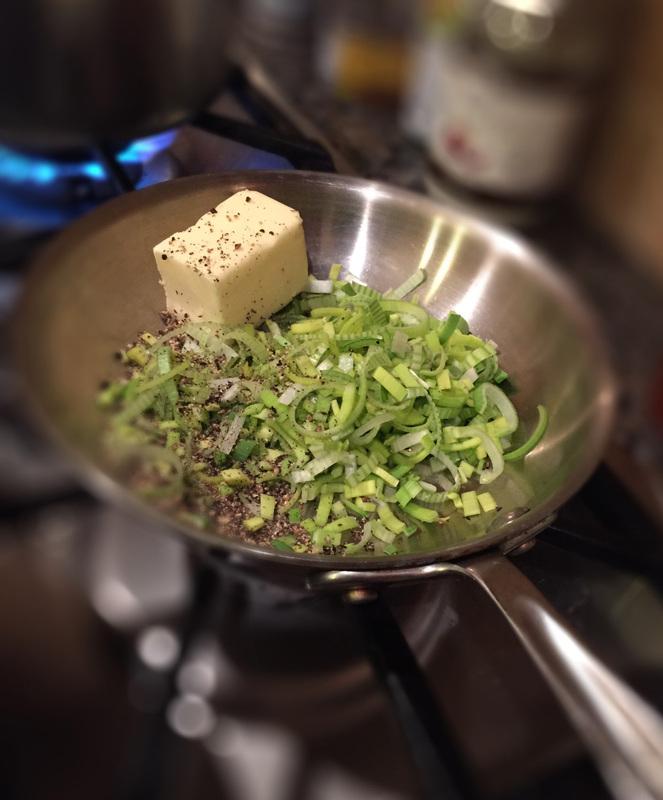 Simmering the leeks or onion in the butter softens them and adds great flavor to the puree. I’ve made these for company and converted many a guest that previously swore, “they did not like cauliflower”! Try some smoked or flavored salts to shift the taste to your liking. In the summer I add fresh chives from the side of my house. Get creative and there is no end to what this side can be paired with. In a large pot add cauliflower and chicken stock and then add water to cover cauliflower. While cauliflower is cooking in a small sauce pan add chopped leeks, butter and salt and pepper, then simmer on low about 10 min. Add half n half and turn off heat. Drain cauliflower well then add butter and leek mixture to the larger pot with cauliflower. With an immersion blender (magic wand) - puree until smooth. Cover until ready to plate. Drizzle olive oil over top. Chopped onions can be used in place of leeks. Light cream can be used in place of half n half. Alternatively, a bullet blender could work but be sure not to over puree.